This category of family migration visa enables a partner or spouse of New Zealand citizens or permanent residents to join them in New Zealand permanently. To obtain this visa, one must me legally married to a New Zealand citizen or permanent resident and be in a genuine and stable relationship for at least 1 year. Live in New Zealand indefinitely. Work full time in any occupation with a New Zealand employer. Travel to and from New Zealand as long as the visa is valid. This category of family migration visa enables New Zealand citizens or permanent residents to apply on behalf of their dependent children (below 24 years of age) to join them in New Zealand. Such visa holders are allowed to stay in New Zealand with their parents, study and work depending on their age. Study in New Zealand as a domestic student. Work full time (depending on age). 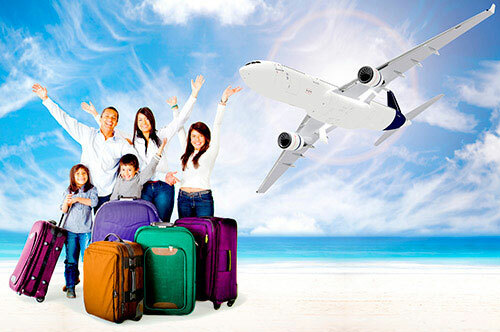 This category of family migration visa enables parents of New Zealand citizens or permanent residents to join them in New Zealand. To obtain this visa, one must send an Expression of Interest (EOI) briefing about their credentials and eligibility and an evidence of sponsorship from the sponsoring child. Work full time in any occupation with any employer in New Zealand. How can AINiT help you with New Zealand Family Migration? At AINiT we can provide you with a comprehensive service package to help you join your family in New Zealand. Our CEO, Mr. Aftab Syed is a licensed immigration advisor registered with New Zealand Immigration Advisors Authority (IAA, NZ). He along with his team has helped many applicants from Sydney and other cities of Australia to migrate to New Zealand under family migration stream. We can help you with each step of your application process from choosing the right category of visa according to your situation to immigration advice, documentation and visa application.